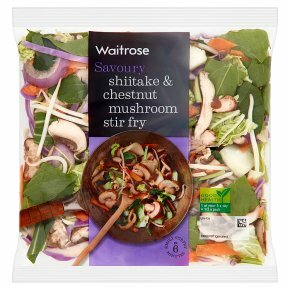 INGREDIENTS: Mushrooms in varying proportions (23%) (chestnut mushrooms, shiitake mushrooms), beansprouts, pak choi, chinese leaf, pinkstar® cabbage, carrot, red onion, choi sum. Time: 6 mins. Stir fry. Heat dry wok over a high heat for 2 minutes, …add 1 tbsp of oil and add vegetables. …Stir fry over a high heat for 4 minutes, stirring frequently, until piping hot. Serve immediately.